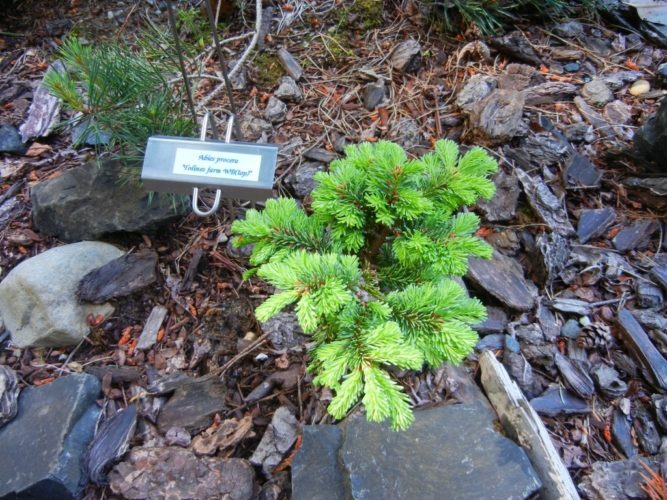 Abies procera 'Yin' is still a relatively new cultivar but it shows a miniature growth rate of about 1 inch (2.5 cm) a year, more laterally with a teal-green hue. 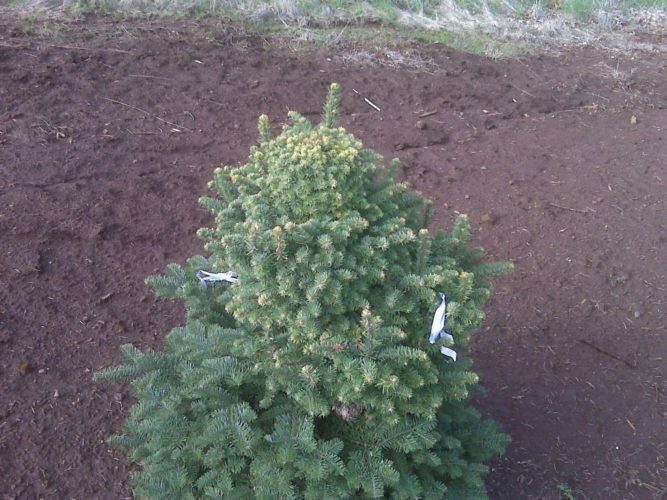 Discovered on a Noble fir at Drakes Crossing Christmas tree farm in Silverton, Oregon, by Jason Hupp. This broom was one of two separate brooms found on the same Noble fir. The upper broom was named 'Yin', the lower 'Yang', by Will Fletcher of Hobbiton Gardens, Port Orchard, WA. Hardened foliage from this photo in Winter. 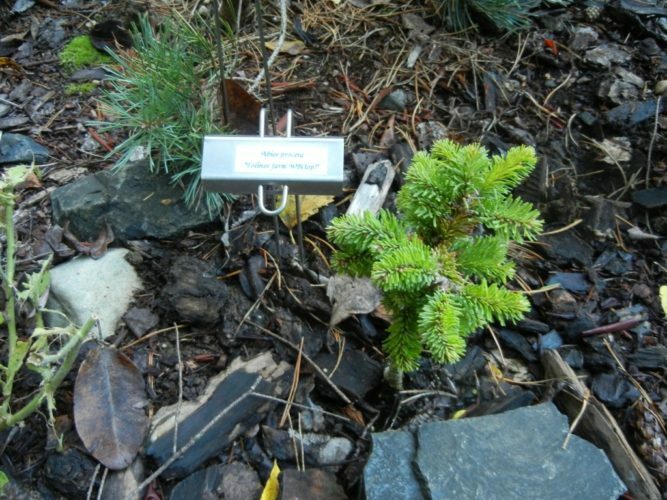 The original broom and tree of both Abies procera 'Yin (pictured) and Abies procera 'Yang' (not seen) at Drakes Crossing Nursery, Silverton, Oregon. 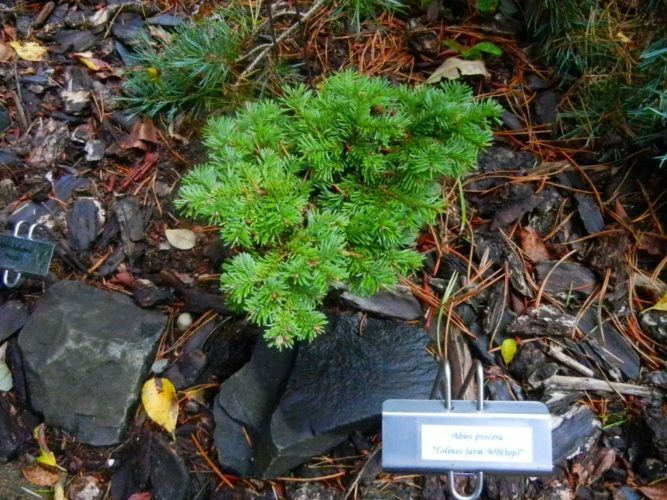 A three year old specimen of Abies procera 'Yin' at Hobbiton Gardens. Spring flush of Abies procera 'Yin' at Hobbiton Gardens.